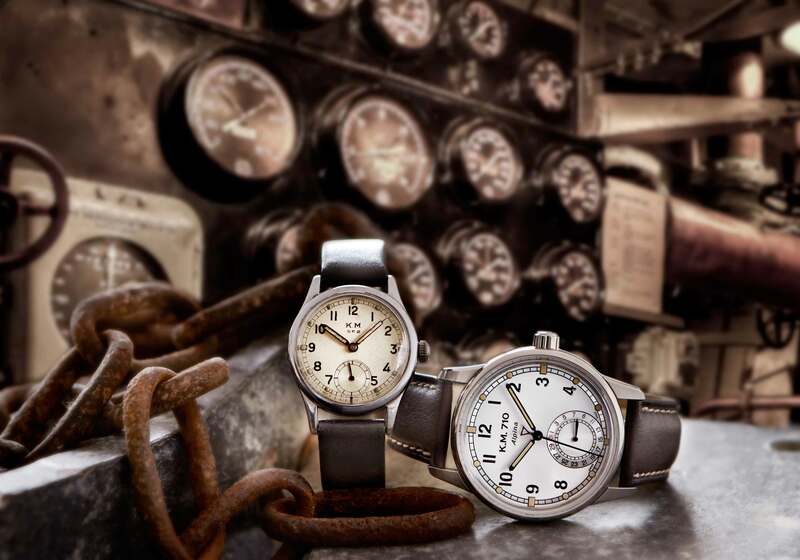 Military timepieces have a special kind of vibe surrounding them. It’s not only the fact that some of them may have fought a battle in Verdun or crossed the German border during the fall of Berlin and Adolf’s third ‘reich’. The style of vintage military watches is very attractive in my opinion. Very simple, very functional and above all very robust. They look exactly as cool as the soldier that’s wearing it. 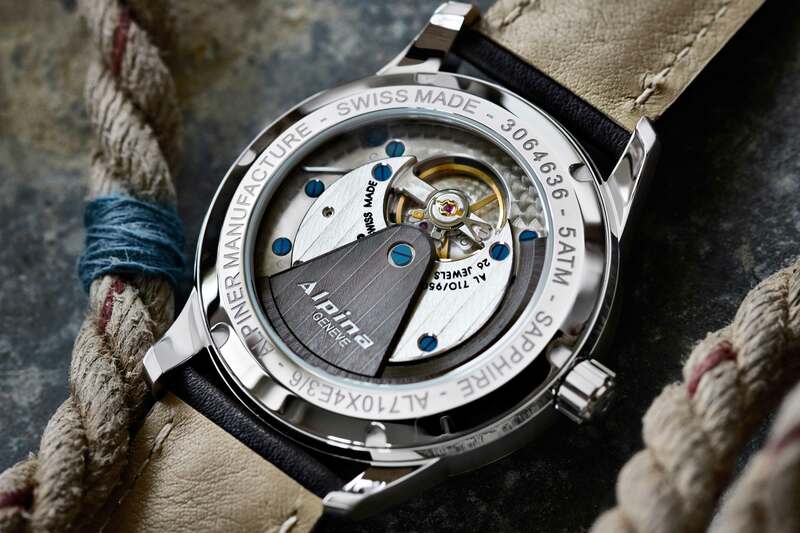 Alpina knows this and this is amongst others one of the reason they re-introduce their military timepiece. 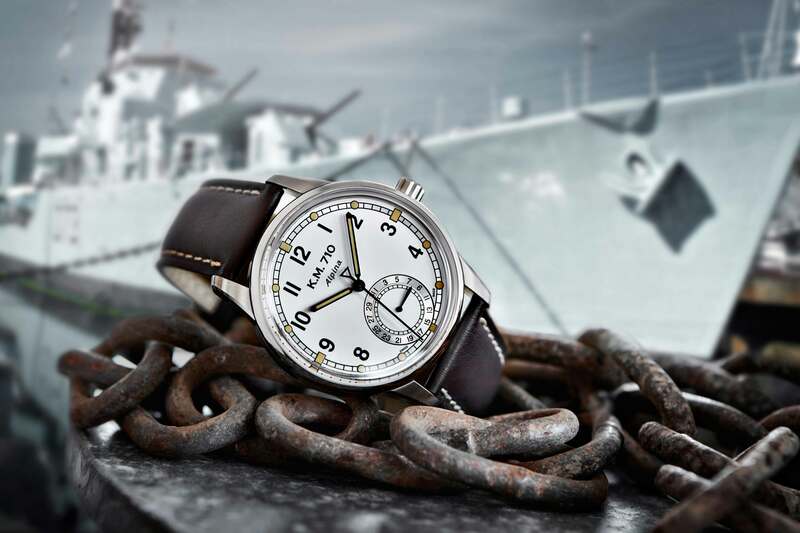 The new Alpina KM-710 is a reinterpretation of the watch they made for the German Kriegsmarine during the 1930s and 1940s. The biggest problem of these watches is the fact that they had a very small diameter. We all know, bigger is better is no longer the credo in the watch industry, but a size from 32mm to 35mm is rather small. After all, we are still men and a small watch is something we don’t mind, but small still has to be big enough. If you know what I mean. 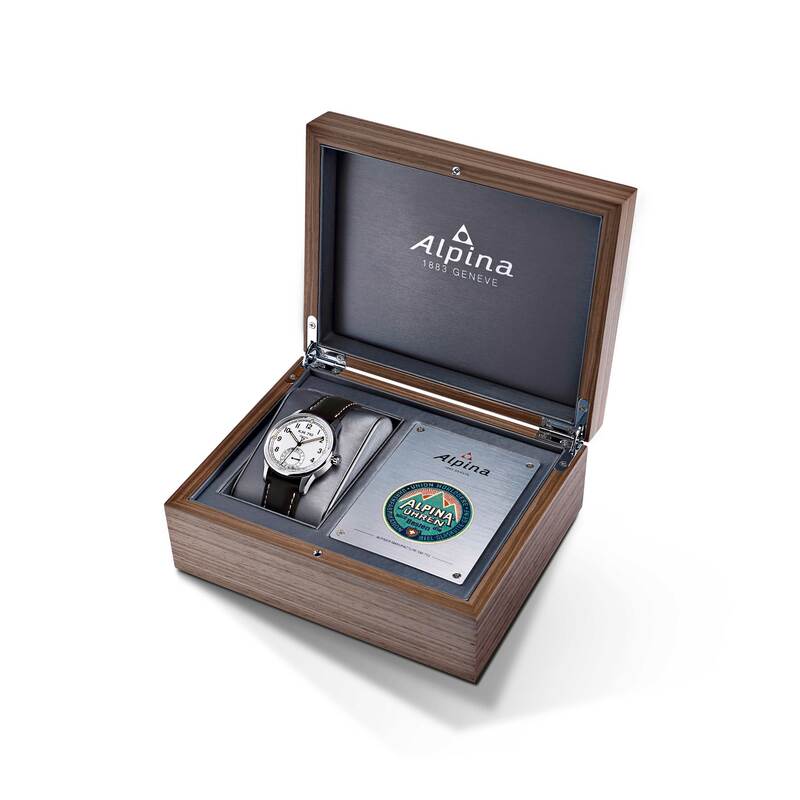 Besides all of this, there are not much Alpina service wristwatches left with us in this world and – as to be expected – the pieces that still roam this earth are very desired by collectors. A logical consequence of this is the fact that they have a very ‘spicy’ price. 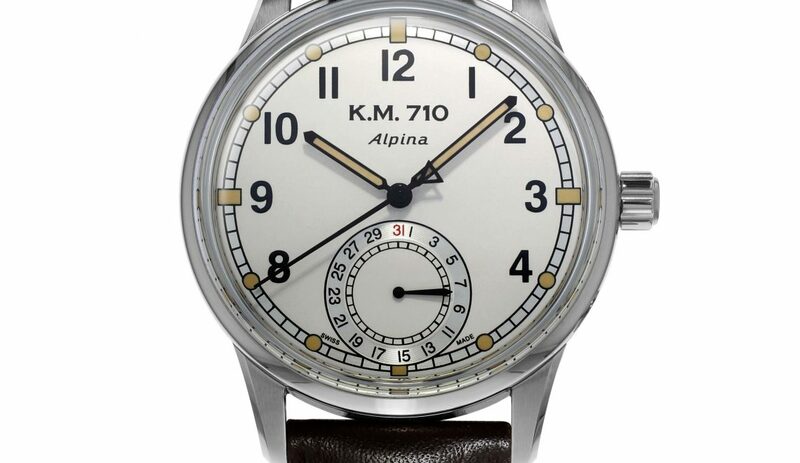 I think it’s a good idea of Alpina to reintroduce this watch or – to be precise – reintroduce a military-styled watch. Of course it’s everything of modern day technology combined with the look and feel from the pieces as known during the 1930s and 1940s. As said, this new KM-710 has a larger diameter than its serving grandpa, this new edition measures a diameter of 41,5mm and a thickness of 13mm. A perfect measurement if you ask me. In my opinion, depending on what kind of style, the maximum for a watch is 42mm in diameter. The bigger watches are a bit too much if you ask me and I do not like such a huge wristwatch. However, that’s a matter of taste. 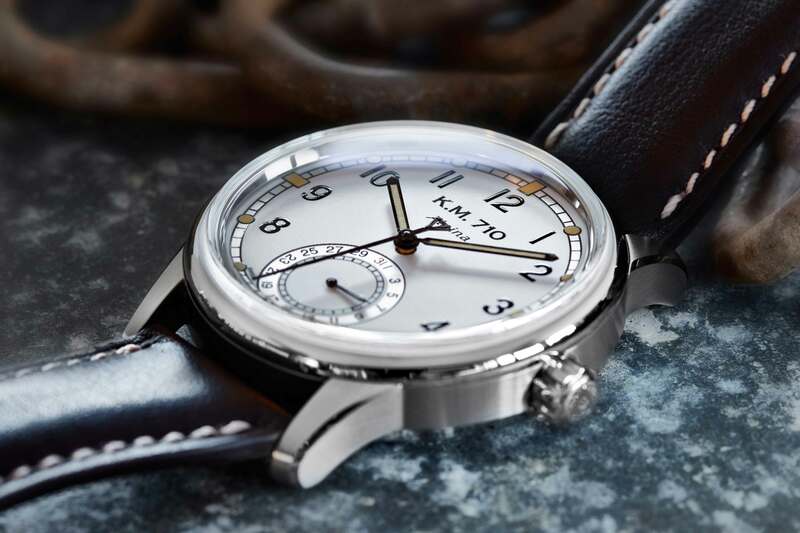 For now, well done Alpina, a nice size for a military style watch. Call it boring – for it’s used numerously times now – but I really like the fact that Alpina chose to use SuperLuminova® that already has that characteristic vintage colour. It looks really cool on this watch, especially in combination with the index ring used on the dial. 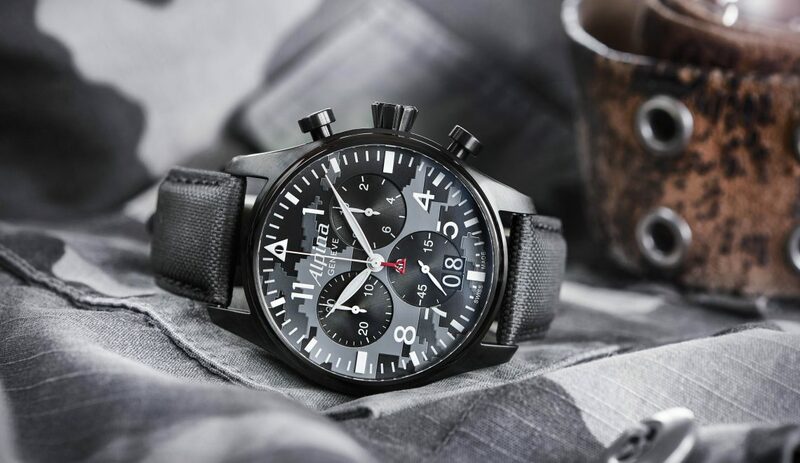 Gives the watch the perfect vintage military style that’s so characteristic for these kind of timepieces. The only critical point I have when it comes to the design, is the fact that they decided to use the sub dial at 6 o’clock as a date display. Besides the fact that I’m not a huge fan of using a dial to show the date, the original model used as an inspiration for this KM-710 also had a sub dial, but for seconds. I should’ve chosen for that option, but then again, that’s probably the reason I’m writing this article instead of working for Alpina. Overall, the watch has a very distinguished design and is definitely something I would wear. The case has a great vintage-looking shape and the lugs are placed in such a way that even though it measures 41.5mm, the watch looks very slim. The ball-bearing rotor of the AL-710 movement reminds us to the Alpina 582 manufacture calibre produced back in 1949 thanks to its special form. When the watch is fully wound, it will stand by your side for about 42 hours, whilst sweating inside the trenches. That’s a little less than two days of living like a private or corporal, depending on how cool you find yourself. Another cool detail on this watch is the fact that the sapphire crystal glas looks exactly as the watches from back in the days. Having that recognisable ‘pop-out’ look, a small detail that contributes to the comparison with the original watches. Take a look at the pictures and decide for yourself what you think of this watch. For me, it’s a true representation of how a military watch should look like. Besides the fact that the date is displayed at the sub dial instead of the seconds, it has my heart. It’s a cool timepieces for casual moments as well as dressed moments. A great all-rounder and definitely a must-have if you like the more simple timepieces in your collection. I think Alpina did a great job on this one. You can say what you want, but being a soldier in the 20th century wasn’t bad when it comes to the watches they got to wear.